and improve outcomes of young African American men and boys. 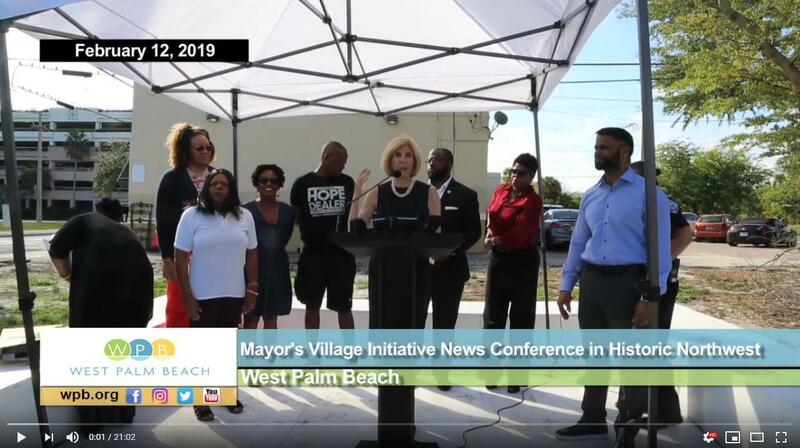 The City of West Palm Beach Mayor’s Village Initiative (MVI) launched a new, powerful action plan on Tuesday, February 12, 2019. 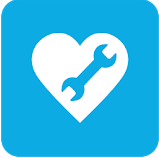 This comprehensive plan addresses five pillars: Workforce Development; Prevention/Intervention; Education; Health; and Reentry. The plan also incorporates national and local strategic collaborations and partnerships. MVI’s mission is to create a safe and secure environment for West Palm Beach youth, particularly African-American boys and young men. The specific focus of MVI is to acknowledge and combat challenges that young African-American boys and men face in the Historic Northwest, Coleman Park and Pleasant City areas of West Palm Beach. The “village” consists of government agencies, businesses, concerned citizens, the faith community, non-profits, philanthropists, local law enforcement, and schools. 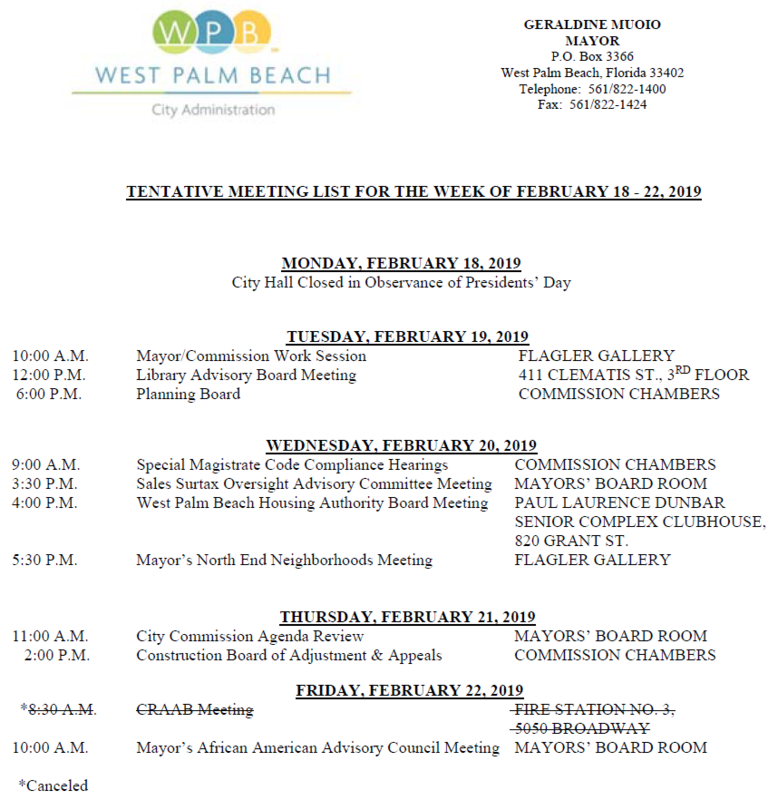 TO CONTINUE READING, PLEASE VISIT: http://www.wpb.org/News-Video/Archive-News/MAYOR-S-VILLAGE-INITIATIVE-LAUNCHES-POWERFUL-ACTIO. City Hall will be closed on Monday, February 18, 2019 in observance of Presidents Day. Regular sanitation service will be provided. 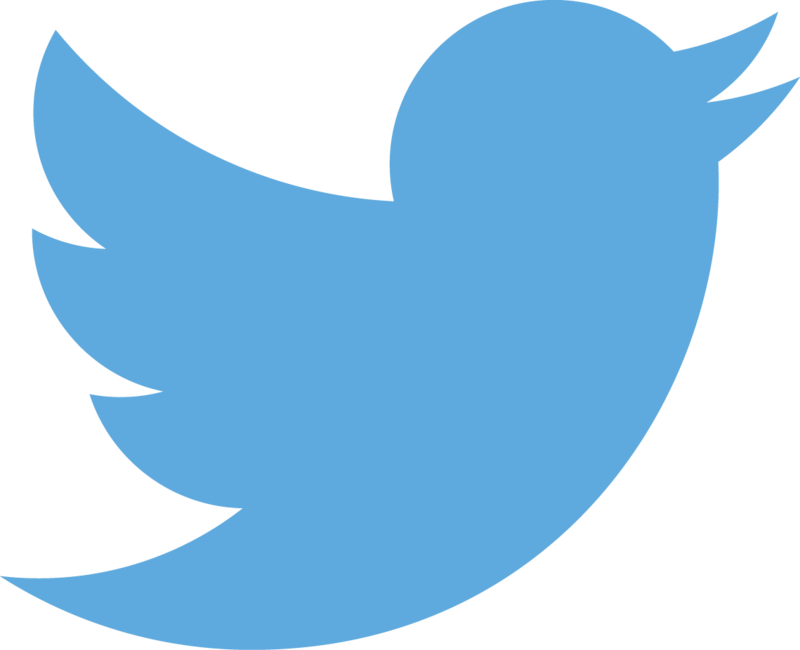 City Hall will reopen on Tuesday, February 19, 2019. 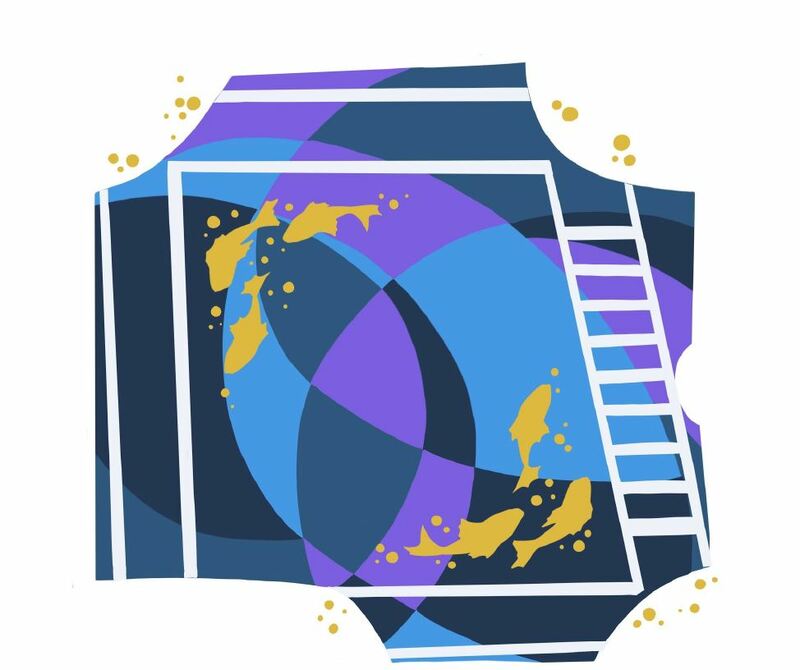 The City of West Palm Beach has teamed up with Dreyfoos School of the Arts Visual Arts Department students to install a creative, new design for the intersection of Tamarind Avenue and Fern Street. The installation of this unique artwork titled ‘Migration’—otherwise known as the City’s second ‘Intersection Repair’ project-- is scheduled for February 16-17, 2019. The intersection will be closed to traffic during this time. 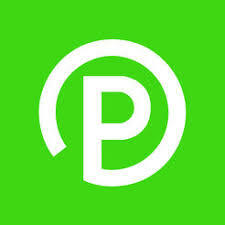 TO CONTINUE READING, PLEASE VISIT: http://www.wpb.org/News-Video/Archive-News/NEW-STREET-ART-MIGRATION-PLANED-FOR-TAMARIND-FERN. 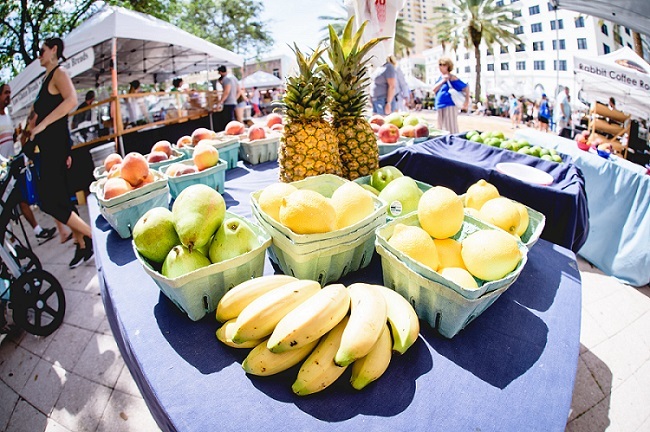 The City of West Palm Beach is seeking applications for the silver anniversary of its famed West Palm Beach GreenMarket. The weekly hotspot to shop and be seen will celebrate its 25th anniversary season, beginning on Saturday, October 5, 2019, running weekly through Saturday, April 18, 2020. City officials are in search of vendors – both returning and new – to apply for the special season. Known for its size and variety of offerings, the GreenMarket was the first area market of its kind. This year’s GreenMarket has more than 90 vendors, who sell a wide variety of items, including fresh produce, exotic plants and flowers, herbs and spices, baked goods, gourmet and specialty foods, coffee and tea, and much more. Applications are available now on the City’s website and the deadline to apply is Sunday, March 31, 2019. 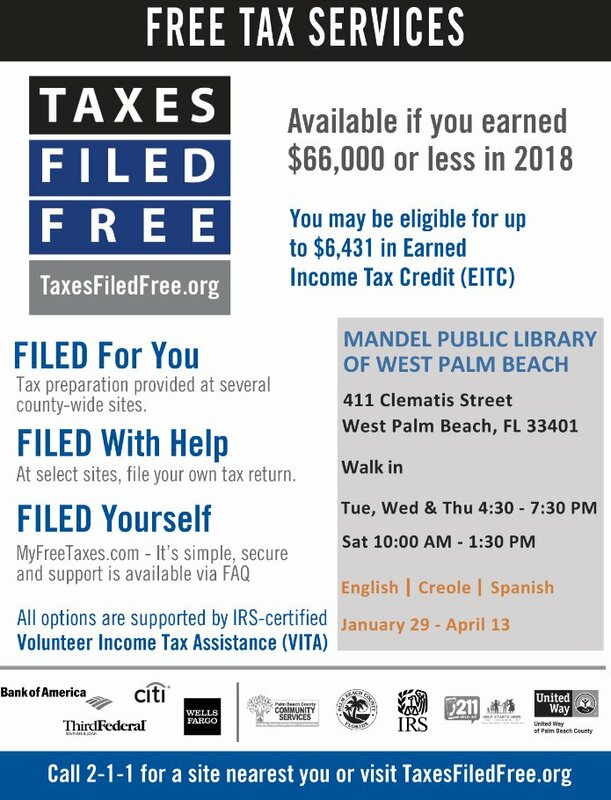 TO CONTINUE READING, PLEASE VISIT:http://www.wpb.org/News-Video/Archive-News/IT%E2%80%99S-THAT-THYME%E2%80%9D-OF-THE-YEAR. In December, the West Palm Beach City Commission adopted an ordinance to create a new Minority- and Women-Owned Business Enterprise (M/WBE) program. This past week, the city’s Procurement Department formally introduced the program. Under the M/WBE new program, companies with a majority ownership held by a woman or minority will receive extra points in competitive bids for city contracts of specific types and sizes. 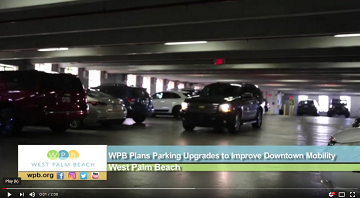 The M/WBE program is the first of many steps that the City of West Palm Beach Procurement Department is taking to encourage contract availability and award equitability. 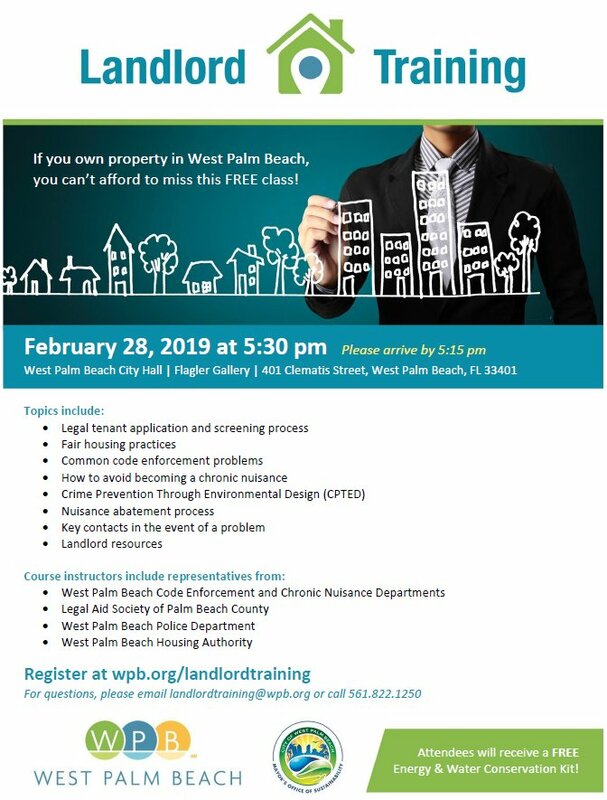 To find out if your business qualifies for the M/WBE program or for more information, please visit: www.wpb.org/procurement or call 561-822-2100.